Things fall apart when empires crumble. Rediscovery of past glories is attempted again and again, until eventually those living in what was once the heart of the empire become reconciled with their fate. Many of the British are not yet reconciled. 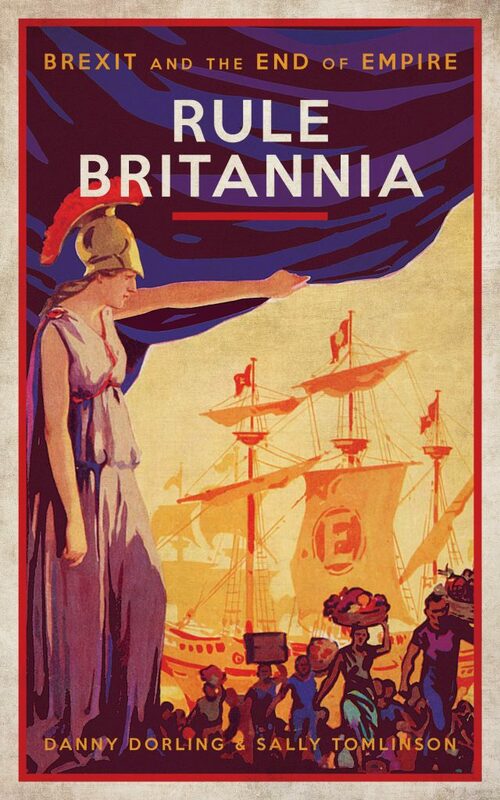 A major cause of Brexit was a stoked-up fear of immigrants, but Rule Britannia: Brexit and the End of Empire (Biteback Publishing) argues that at its heart the rhetoric of Brexit was the playing out of older school curricula that had been dominated by empire. Brexit was led by people, almost all men, who mostly had fond memories of something that never was as great as they believed it to be. Co-authors Danny Dorling and Sally Tomlinson are in conversation. The conversation is chaired by writer and researcher Maya Goodfellow.